L'ufficio della stylist Rachel Zoe. Lo trovo semplicemente p e r f e t t o! Il sogno di chiunque! Rachel Zoe's fashion office t e r r i f i c. Want it! Il genio sregolato di Vivienne Westwood torna con una collezione colorata, frizzante e divertente per il brand australiano Melissa, che negli anni sta portando fortuna alla stilista brittanica. La collezione P/E 2012 propone alcune rivisitazioni di modelli affermati e delle new entry. Tra i modelli conosciuti, le Lady Dragon col cuore, stavolta in versione perlata, o il modello Anglomania Wing, che la Westwood aveva lanciato già nel 2009 con sandali a forma di calzari romani. Vivienne Westwood's unruly genius returns with a colorful, sparkling and funny collection for the australian brand Melissa, which, over the years, is bringing fortune to the british fashion designer. The S/S 2012 collection includes some reinterpretations of established models and new entries. 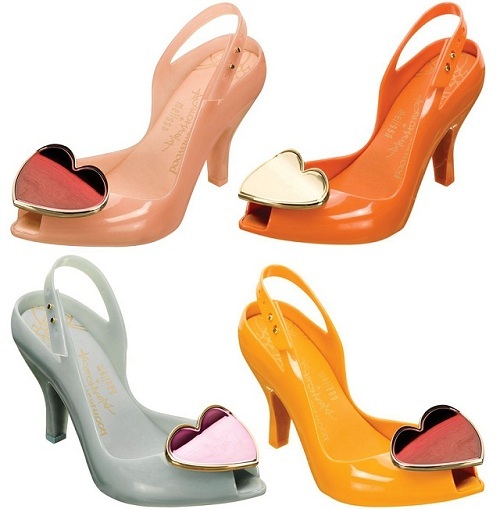 Among famous models, the Lady Dragon with heart, this time in a pearl version, or the Anglomania Wing model, that Westwood had already launched in 2009, with a roman-like sandal. Piccole nelle dimensioni. Metà nel prezzo. Identiche nella fattura e nella bellezza. Sto parlando della Miu Miu Gift Collection 2011. Il brand più giovane di Miuccia Prada lancia una collezione per le feste natalizie che comprende deliziose mini bag, identiche alle originali in ogni dettaglio, ma alla metà del prezzo. Half size. Half price. 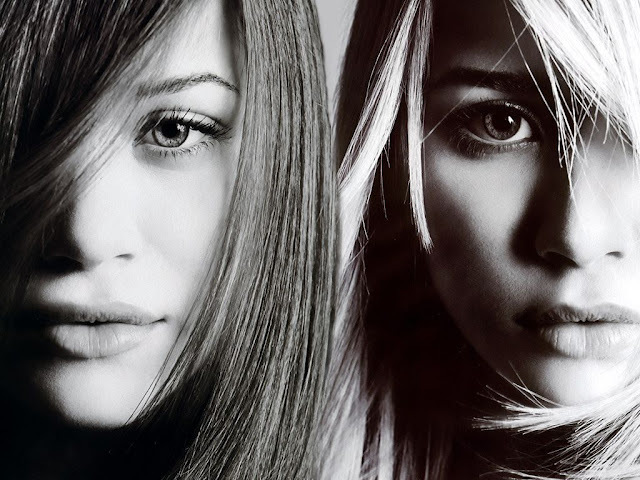 The same in the manifacture and beauty. 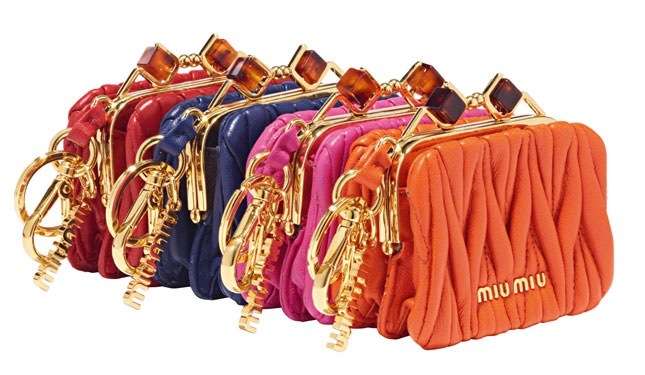 I'm talking about Miu Miu Gift Collection 2011. 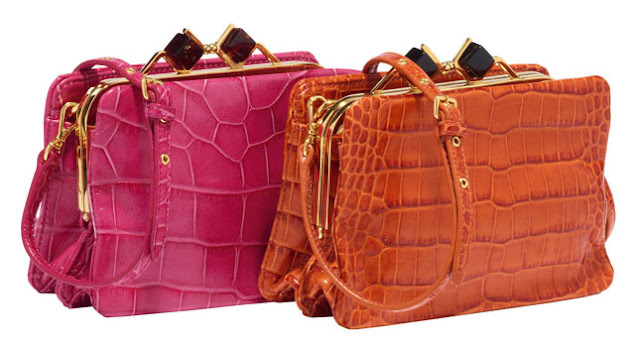 The younger brand of Miuccia Prada launches a collection for Christmas holidays which includes lovely mini bag, very similar to originals in each detail, but for the half price. Vi ricordate quando vi avevo detto in questo post che aspettavo il regalo per i miei 23 anni da parte dei miei amici? Finalmente mercoledì scorso è arrivata e io la amo già alla follia! Do you remember when I told you in this post that I was waiting for my 23rd birthday present, the one from my friends? Finally last Wednesday it's arrived and I totally love it! A 4 giorni dal lancio della collezione Versace for H&M, Anna Dello Russo propone una sua personale interpretazione della linea e realizza un video in cui si rappresenta come una bambola, prendendo spunto dallo spot ufficiale di Versace for H&M. Che ne pensate? Only 4 days before the launch ofVersace for H&M collection, Anna Dello Russo shows her own and personal vision about the capsule and realizes a video, in which she represents herself as a doll, inspired by the official Versace for H&M commercial. What do you think about it? 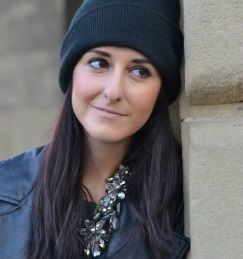 Se vi dico Jeffrey Campbell, cosa vi viene in mente? In Moda Veritas in collaborazione con Jou Jou Villeroy & Maze shop mette in palio un paio di Lita (nere/tacco marrone), le famosissime scarpe griffate Jeffrey Campbell! If I tell you Jeffrey Campbell, what do you think? 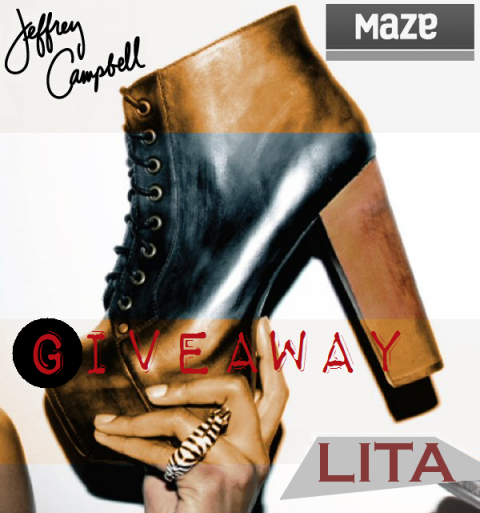 In Moda Veritas in collaboration with Jou Jou Villeroy & Maze shop give you the chance to win a pair of famous Lita shoes (black/brownn heel) by Jeffrey Campbell! Venticinque anni di carriera, 4000 paia di scarpe e 2 appartamenti adiacenti per contenere l'immenso guardaroba. Anna Dello Russo, una delle giornaliste di moda più eccentriche e rappresentative in Italia, è nata nel 1962 a Bari. Per passione e per lavoro si è trasferita a Milano, dove tuttora vive. E' stata 18 anni in Condé Nast Italia come redattrice di Vogue Italia e direttrice per L'Uomo Vogue (dal 2000 al 2006). Attualmente è editor-at-large e consulente creativa per Vogue Japan. 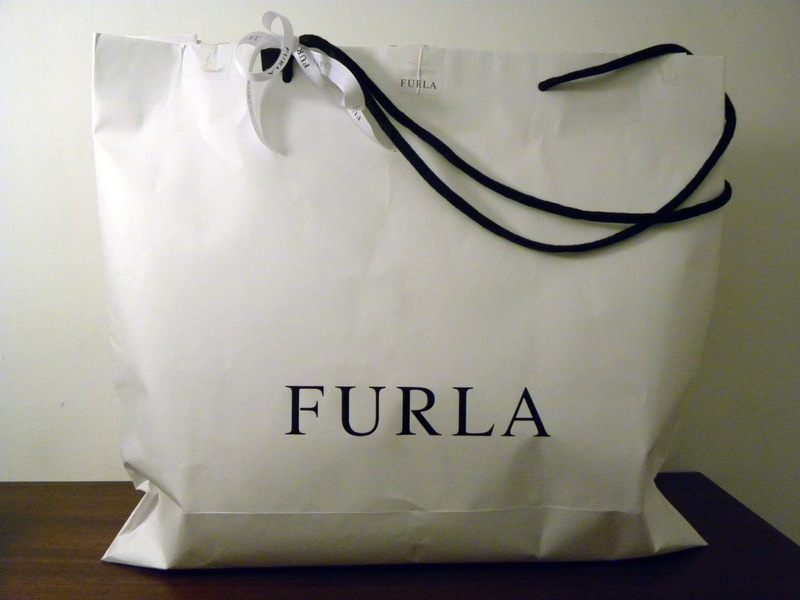 Twentyfive years as fashion journalist, 4000 pair of shoes and 2 apartments to contain her huge wardrobe. Anna Dello Russo, one of the most eccentric and famous fashion journalists in Italy, was born in Bari in 1962. To follow her passion and her job, she moved to Milan, where she still lives. Right now she is the editor-at-large and creative consultant for Vogue Japan. Ho tantissimi nuovi acquisti da mostrarvi. Comincio con le ultime bambine arrivate nella mia scarpiera. Entrando da Zara, le ho snobate due o tre volte prima di decidere un giorno che dovevano essere mie. Nonostante il tacco altissimo (13cm), sono comode perché hanno il plateau alto. 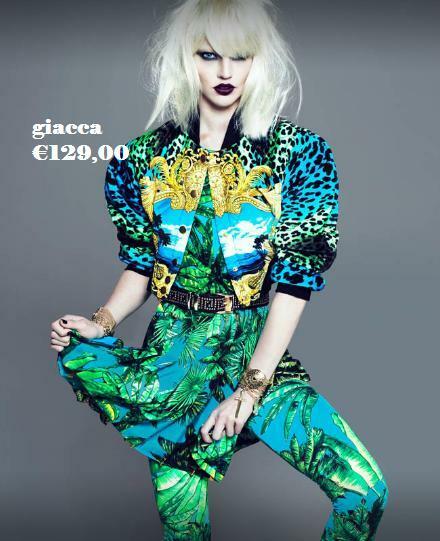 Il colore è uno splendido punto di bordeaux, di moda per questa stagione autunno/inverno 2012. I've got many new items to show you. Let's begin with my new pair of shoes. I saw them few weeks ago, but only after I went to Zara store two or three times, I've decided to buy them. Those heels are very high (13cm), but they're really confortable because of the plateau. The colour is a wonderful burgundy, a colour which is a trend for fall/winter 2012 season. Avevo estremo bisogno di rifornirmi di make-up, così il mese scorso ho rimediato. Ho una pelle particolare, delicata, che ahimé si presta bene a imperfezioni e problemi di vario genere, perciò quando si tratta di trucchi mi piace comprare prodotti di qualità, almeno per quanto riguarda mascara e ciprie. Con la pelle, specie del viso, non si scherza e preferisco spendere di più ora che pentirmene in seguito. 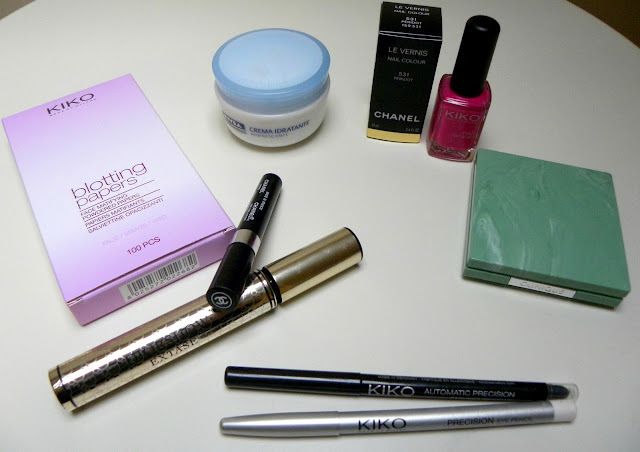 I've got an extreme need to buy new make-up products, so last month I did it. I've got a particular skin type, really delicate, with a lot of imperfections, so make-up is a very important issue for me. I prefer buying high level products, especially rimmel and powders. It's important to take care of your skin and I prefer to buy expensive products rather than regret then. Vi ricordate quando ho vi ho parlato di Maison Cauchemar in questo post!? Dopo il grandioso successo della collezione estiva, Virginia Falchini, designer del brand, torna con una fantastica linea. In Moda Veritas in collaborazione con Maison Cauchemar organizza un fantastico giveaway e vi dà la possibilità di vincere una delle tre nuove t-shirts in limited edition firmate Maison Cauchemar. Do you remember when I've talked to you about Maison Cauchemar in this post!? After the summer collection and its great success, Virginia Falchini, brand's designer, has created another amazing collection. 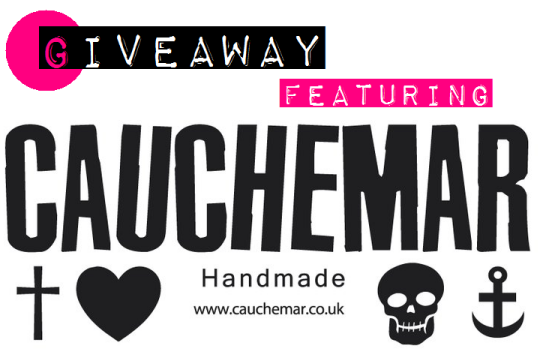 In Moda Veritas in partnership with Maison Cauchemar organizes a wonderful giveaway and give you the chance to win one of three new limited edition t-shirts by Maison Cauchemar. Finalmente è online sul sito ufficiale di H&M la capsule collection realizzata in collaborazione con Versace, che uscirà il 17 Novembre in alcuni store H&M selezionati in tutta Italia. Personalmente sono rimasta parecchio delusa: i pezzi che mi piacevano erano pochissimi (ad esempio l'abito in seta rosa shocking e il chiodo di pelle con le borchie) e lo stile Versace non è molto in sintonia col mio, però i prezzi, a mio avviso, sono davvero folli.